Capellini Caprese–and a thank you note to Giada! A thank you note to Giada De Laurentiis for inspiring a new dish in Katty’s Kitchen! I’ve seen so many variations on your checca sauce pop up of late, I thought I’d look into how you do it. You see, caprese and I are old friends. Adding pasta to the mix only makes it better in my book. …along with some fresh oregano and thyme from my own deck. 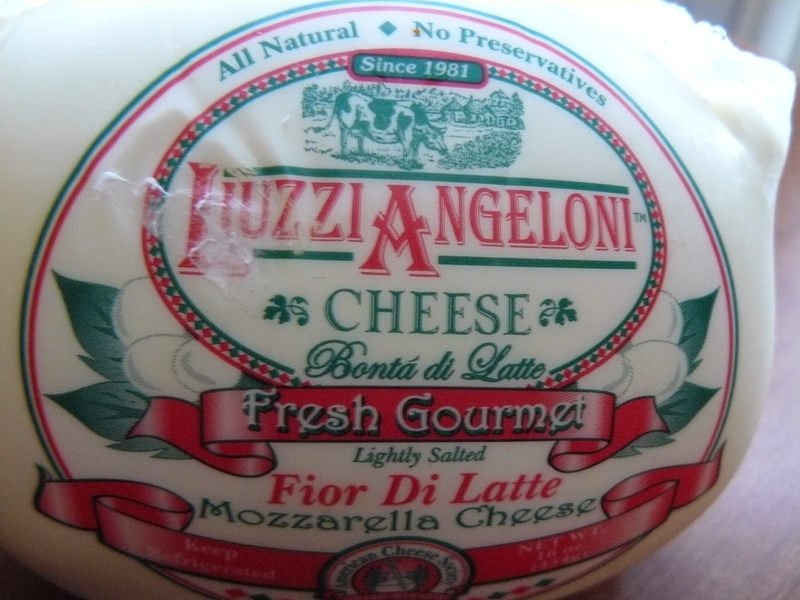 The Italian flag of fresh produce right heah! Combine all ingredients (except pasta!) in a food processor. Pulse until the tomatoes are coarsely chopped. Do not puree. Cook the capellini according to package directions (just two minutes for De Cecco, my favorite in a box). Reserve 1/4 cup of pasta water, then drain. Toss the pasta with the tomato mixture and fresh mozzarella in a large bowl with the 1/4 cup of pasta water. Serve immediamente! 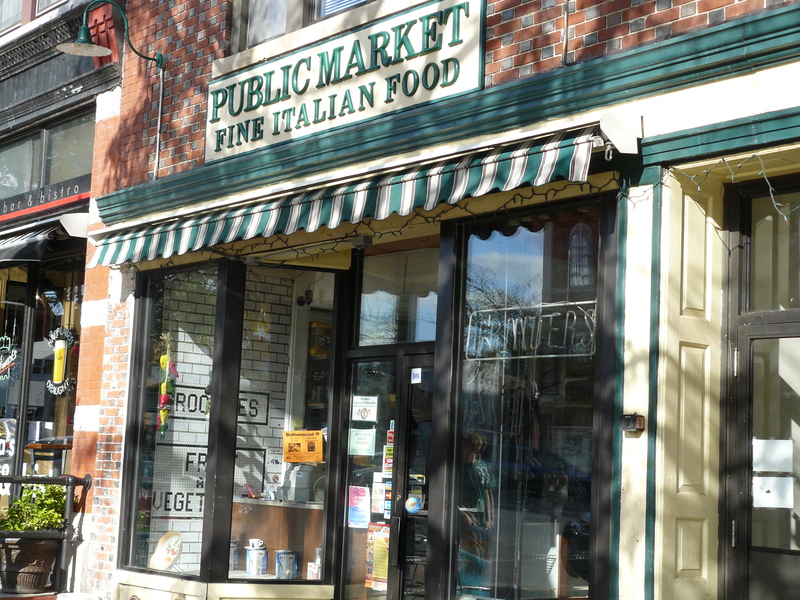 Freshly-made sausages from your favorite local Italian market (this is mine below!) pair beautifully with this dish. That produce photo is gorgeous! I want to eat those right up. that looks so good! 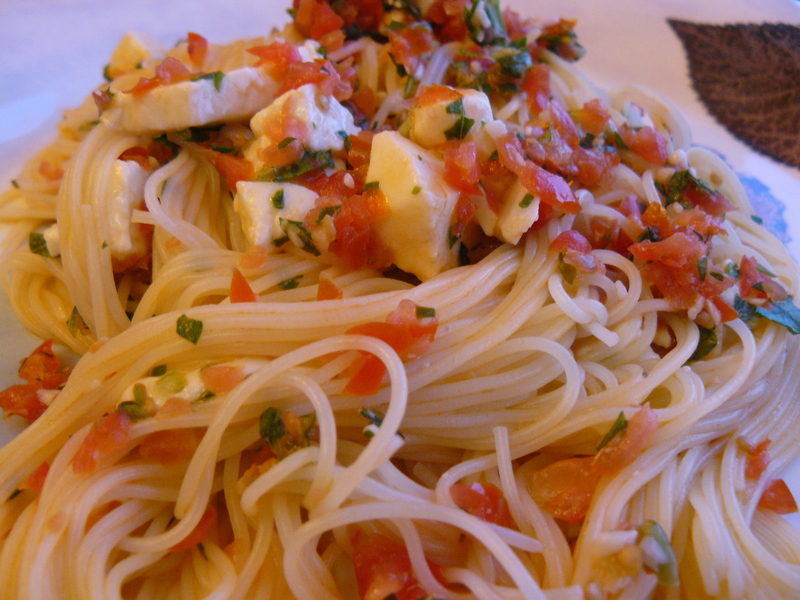 i love caprese salad and sandwiches, but i never thought of having caprese pasta. 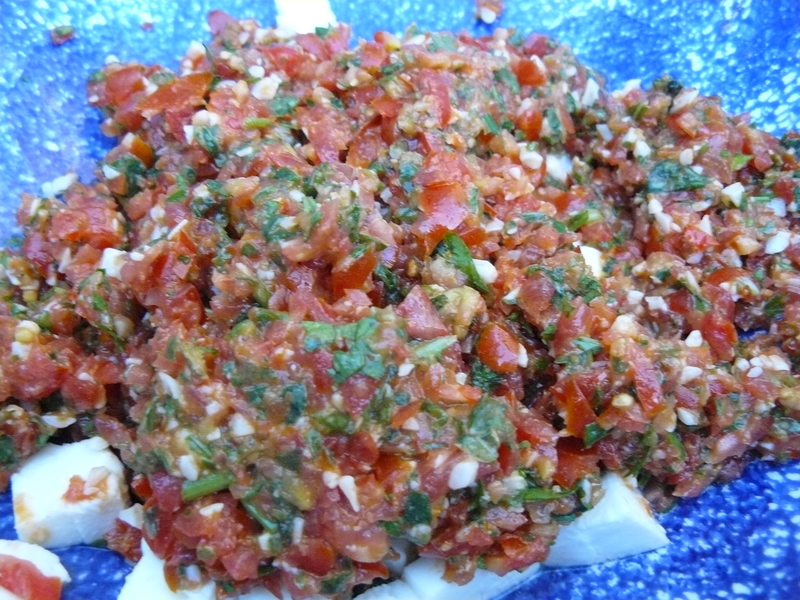 I love the “alla Katty”s version, great recipe with all those fragrant herbs! Indeed your produce pic is absolutely delectable. 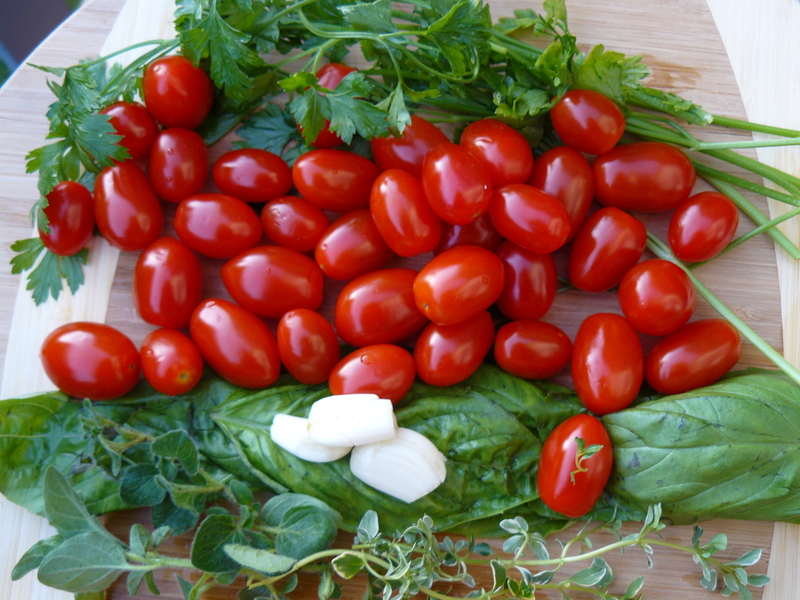 How can one possibly go wrong with mozzarella, fresh herbs and those wonderful grape tomatoes! You guys are the best–thanks so much for your positive feedback! I’m looking forward to playing around with more fresh sauce ideas for the summer. Sauce was great however needs to be microwaved or sauted for a minute. Thanks!